Jon G. Bryda, 76, of Southington, Conn., was called to eternal rest Thursday, Sept. 6, 2018, at home. Born on March 29, 1942, Jon was the son of the late John and Margaret (Fuschillo) Bryda. He attended New Britain High School before enlisting in the U.S. Marine Corps where he proudly served his country. Prior to his retirement, Jon made his career as a quality assurance manager for Pratt & Whitney, where he worked for 37 years. Jon was the District Democratic chairman in New Britain, and was also an active member of St Jerome Parish, serving on the parish council, finance committee and as a lectern before moving to Southington in 2008. Jon was very active in his retirement as well, joining the Knights of Columbus where he was a fourth-degree Knight and served as president of his condo association. Left behind to honor Jon’s memory are his son and daughter-in-law, Mark Bryda and his wife, Susan of Sandisfield, Mass., and his daughter and son-in-law, Kim Perna and her husband, Vito of South Glastonbury, Conn. He also leaves behind five grandchildren, Amanda Bryda, Amy Bryda, Scott Bryda, Brianna Perna and Francesco Perna, his girlfriend, Barbara Avitabile, as well as many nieces and nephews. Besides his parents, Jon was predeceased by his wife, Patricia (Steffick) Bryda and his eldest son, Gary Bryda. Funeral Rites for Jon will be held Tuesday, Sept. 11, 2018, with the procession departing at 10 a.m. from the Paul A. Shaker Funeral Home, 764 Farmington Ave., New Britain, Conn., followed by a Liturgy of Christian Burial at 11 a.m. at St. Thomas Church, 99 Bristol St., Southington. Burial with full military honors rendered by the U.S. Marine Corps will be in St. Mary Cemetery, 1141 Stanley St., New Britain. The American flag will be presented to Mr. Bryda’s son, Mark. 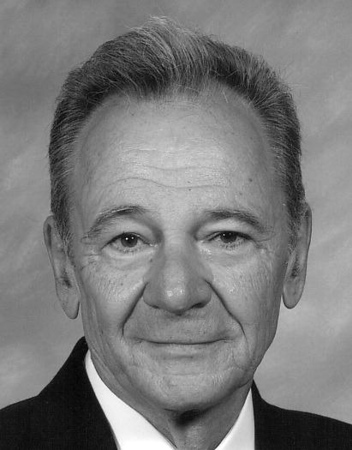 Relatives and friends may call at the Paul A. Shaker Funeral Home Tuesday from 8:30 to 10 a.m. Directions to the funeral home - I-84 east or west - exit 37 (Fienemann Rd) - right off exit - one mile down on right. To extend condolences to the Bryda family or to share a memory of Jon, please visit shakerfuneralhome.com. Posted in New Britain Herald, on Friday, 7 September 2018 19:22. Updated: Friday, 7 September 2018 19:24.